Whether we have to go to work, stay at home or we're on holidays, we all usually end up taking a look at the weather and its forecast. 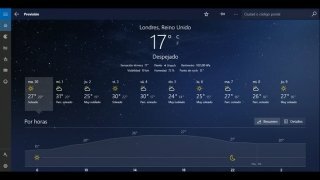 One of the most complete applications that we can get hold of in Windows for this task is MSN Weather. 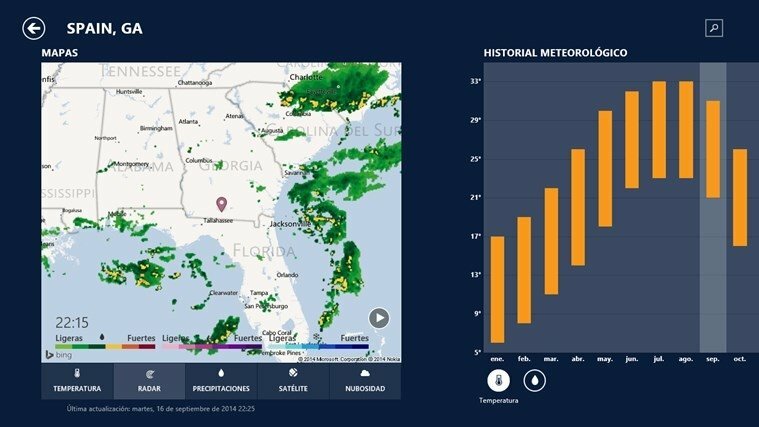 We're talking about a complete application, customized to meet your needs, with which you can get to know all aspects about the weather forecast in the most complete manner. All the latter following a graphical outline with easy-to-understand symbols with which we'll be able to get to know everything we're interested in with a quick glance. Totally integrated into the Windows environment. Weather forecast by days and hours.